Mark Tatulli’s Lio from Friday Nov. 27th. Mike Peter’s Mother Goose and Grimm from Wednesday November 25th. Above: Arlo and Janis from last Sunday November 22nd. Click panel above to read entire strip. 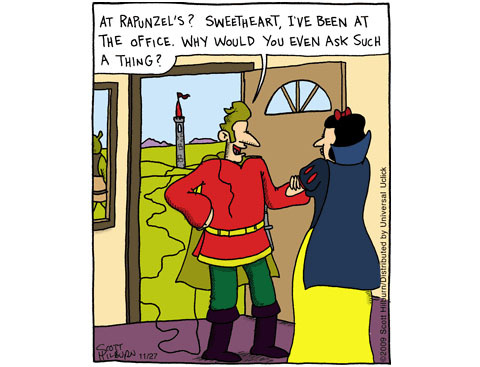 Below: Scott Hilburn’s Argyle Sweater from Friday, 11/27. If you spot a national comic strip making a clever reference to animated cartoons of any era, forward the link to us for our weekly round-up. This entry was written by kelvin, posted on November 29, 2009 at 12:05 am, filed under Animation. Bookmark the permalink. Follow any comments here with the RSS feed for this post. Trackbacks are closed, but you can post a comment.